Recently I was asked why anyone should flip their foreign language classroom. What a great question! There are many positive outcomes (less arduously graded homework landing unread in a waste basket! more dynamic assessments! enthusiastic learners clamoring for more discussion! students wanting to major in your language! ), but these four are the most significant to me. 1. MORE SUPPORT FOR UNDERPREPARED STUDENTS! The most immediate benefit of flipping delivery and application of content lies in the guidance we as instructors can provide to un- or underprepared learners as they try to apply the content in class. 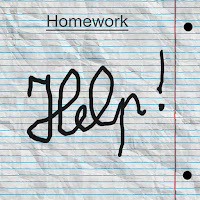 When they do traditional homework, no one is there to point out an error on the first exercise so that all subsequent work may contain the same error, potentially fossilizing the inappropriate structure in the student’s mind. 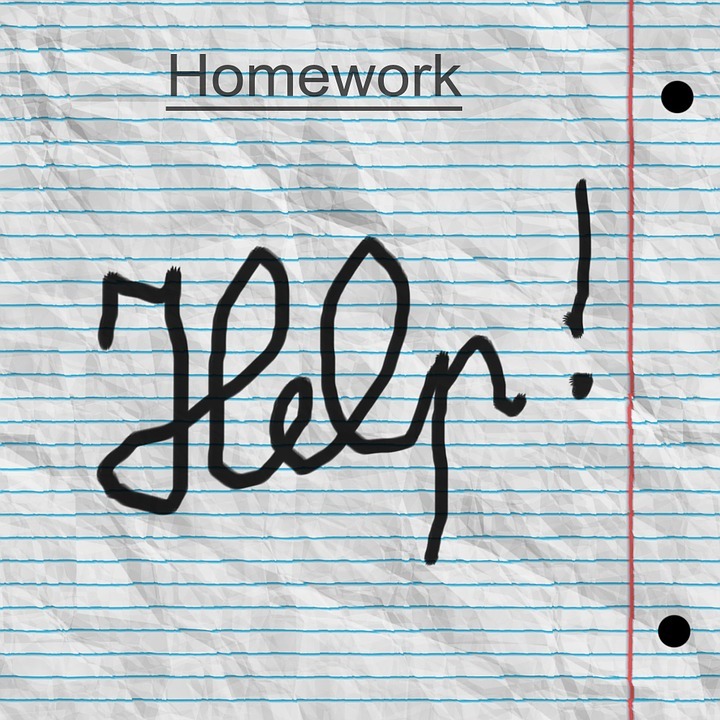 Correcting traditional homework in class only catches a few of these errors, but even then, students with limited comprehension often cannot abstract a specific correction to their own work. 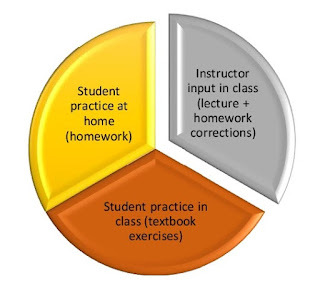 Working through an exercise in class, on the other hand, provides the instructor with instant insights into individual students’ challenges before these turn into full-fledged problems. In addition, a well-staffed group can support struggling team members even before the instructor may intervene. That is why, at the beginning of a semester, I assess my new learners’ abilities and then create Familien in which strong students help their peers. Inverting the conventional order of content delivery and content application also provides the student with a more stress-free environment in which to learn. In my courses, we call “mit der Sprache spielen” [playing with the language] because that is what we do. My learners create with the building blocks they gradually acquire through a chapter, from simple structures to truly impressive ones in the end. As they are practicing how to “stack their blocks” while I am in the classroom with them, I can assess them in a more up-to-date formative manner because I witness each student’s progress through the material and am able to intervene if their tower of blocks should tumble. There isn't a foreign language teacher in the world who doesn't aim for more communication in the target language in his or her classroom. We all want to have our students speak more, but often there is so much housekeeping to take care of! Going over homework, explaining grammar (sometimes even of the native language because you cannot teach relative clauses if students don't recognize them in their mother tongue), introducing vocabulary, providing realia (real-life objects such as authentic news clips, cartoons, magazines, toys, food, train tickets, menus, money, etc. ), quizzing, and testing. What if you moved all the informational items out of the classroom, introduced them in the individual learning space, and only did the hands-on activities in your classroom? 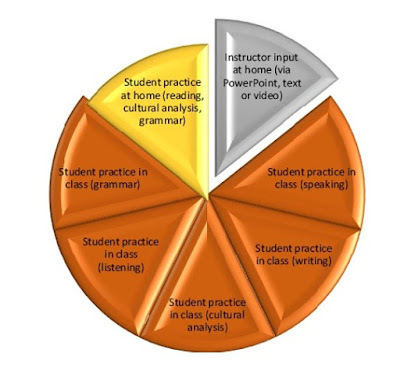 Now you have lots of time for active learning in the target language, using games, group projects and the realia that so fascinate our students. My learners are usually so engrossed in exploring the German culture that they don't even notice that they are using the German language and its grammar in the process. Our textbooks tend to introduce culture as mere backdrop to grammar and vocabulary. Thus, the concept of staying healthy and fit in Germany might play a subordinate role to, say, reflexive pronouns and subordinate clauses. There might be a cultural capsule or two about Germany having universal healthcare or the Versichertenkarte [insurance identification card] shown at the physician's office. But this is only a smattering of culture and doesn't entice the students to hone their analytical thinking skills. Here is how I approach the chapter on health and fitness. Over the span of eight class sessions, my students prepare at home by watching brief videos of people calling their physicians’ offices for an appointment, checking in with the receptionist, being examined, and picking up their prescriptions at the pharmacy. On their worksheets (one each per class session, comprising all at-home preparation and in-class team work), they soak up the vocabulary they encounter in these authentic video situations by filling in blanks, choosing the best possible answers in a scenario, determining whether an utterance is culturally suitable in given situations, and reading dialogs together. 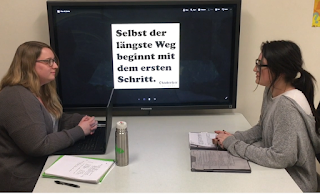 At the end of the chapter, my learners write their own dialogues, which lets them delve deeper into the German culture by simulating their participation in it. Grammatical structures and vocabulary are acquired as a secondary skill, and do not constitute the focus of the chapter. 4. 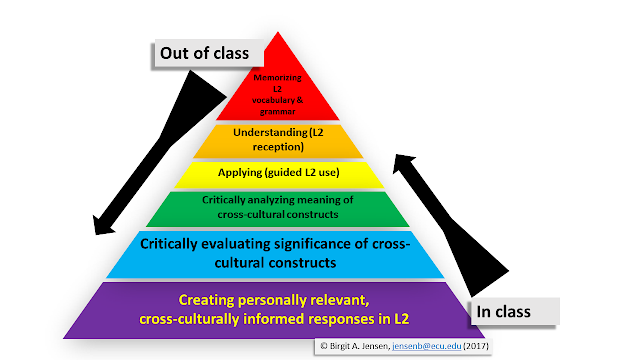 MORE CROSS-CULTURAL CRITICAL THINKING! Because I can provide information in English on the at-home portion of my worksheets, I use the lessons I have developed for each chapter to introduce my students to brief, but judiciously scaffolded readings about aspects of the German culture. All information is thoroughly documented, cited or hyperlinked, and as up-to-date as possible. The questions that follow each reading require higher-order cognition. The early cultural enrichment segments on the healthcare system begin with the German reasons for Kuren [medical spa "vacation"] and Spaß- or Erlebnisbäder [waterparks], describe the historical and political reasons why Germany introduced universal healthcare in the 19th century and how it adheres to the United Nations Declaration of Human Rights in recognizing health as an inalienable right of its citizens. In Germany, public universities are free to attend, but you must have graduated from a free college-prep school called „Gymnasium“ (which is attended by circa 50% of all German pupils). Your graduation GPA is very important because only the very best students can study popular subjects such as medicine. * Before there might be a trial, representatives of the doctor’s medical association and the patient’s health insurance company enter a no-cost mediation procedure. B. Please infer (= to make an educated guess). In your estimation, how might these facts affect medical treatment costs of sick or injured people in Germany and the United States? Why do you think that – which facts in the text and table above guided you in forming your opinion? You’re welcome (but not at all obligated) to research this question further, but cite your sources properly. The next worksheet provides my students with health statistics that show the German and American positions on global rankings on heart and lung disease, cancer, dementia, obesity, smoking, alcohol consumption, and drug use. Learners are asked to assess which country seems to be healthier. After that they receive information about the costs of each nation’s method of managing healthcare: how much individuals pay on average, how much the government subsidizes, per capita expenditures on healthcare, and the medical costs accrued by the un- or underinsured. After each reading, the students analyze the (again, fully documented and hyperlinked) statistics provided, compare both countries’ data, and draw conclusions about the feasibility and flaws of each nation’s approach to ensuring its citizens’ health. Each worksheet serves as another window on the topic until the combined comparative information provided allows groups to evaluate the two nations’ positions on healthcare. The final chapter project reaches the top of Bloom’s venerable taxonomy: creativity! Each student Familie writes an article for the campus newspaper (where we will submit the best version) about the national and private connections between health and wealth in Germany: How does the German approach to financing universal healthcare enable employees, employers, and the government to keep medical costs down, productivity up, and taxation equitable? At the time I write this, the newest version of a Republican replacement of the Affordable Care Act is being debated, so we hope that our newspaper contribution will enrich the conversation on campus by bringing a little known, but valuable international dimension to the table. Making class time dynamic and FUN. Harnessing the knowledge of more advanced students and/or the energy of highly motivated learners to help their struggling or less interested peers. Having sufficient time in class to answer students' smart questions about German culture: "Why don't Germans smile at random strangers more often? 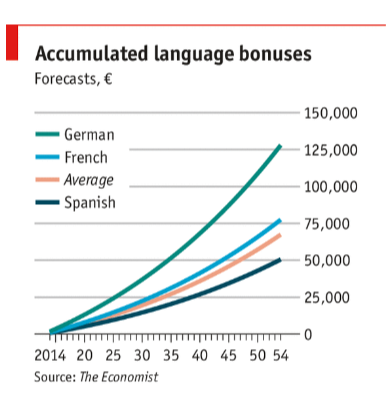 or "Why is a college education nearly free in Germany?" or "How do many Germans construct a self-identity?" Seeing students overcome the fear of producing utterances in a second language. Helping students individually, depending on their personal needs. Assessing all of the learning that occurred in my classroom, not just isolated vocabulary or grammar. Giving students the tools to evaluate German culture, warts and all. Making space and time available for learners to analyze differences and similarities between their own cultural practices and the way Germans handle theirs. Is there something to learn from these analyses? Offering alternate German identities for my students so that they can walk in another Schuh and shed their monoculturism. Laughing and playing in my classroom. Celebrating students' success in creatively communicating in German. Boosting the motivation in the classroom and outside through in-depth cultural discussions that make my learners think critically. Providing explanations that students can access a second (or third or fourth) time around. Witnessing students connect to the German culture in their own meaningful ways. Talking less while my students interact and collaborate more in the target language. Developing more intellectually each semester rather than repeating the same lessons and jokes year after year. Giving students detailed feedback on the spot (instead of grading stacks of homework that those students who need my explanations usually just toss as soon as I return to them my toil of many hours). The search for a teaching strategy that allowed me to achieve all the above took me many years. 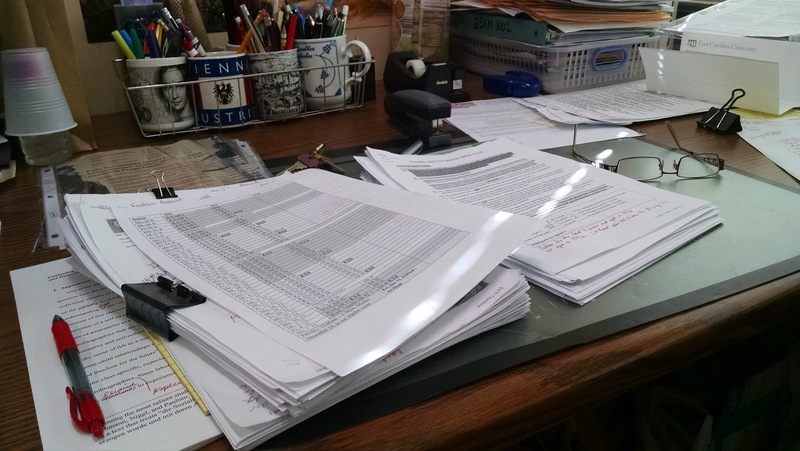 I constantly added and eliminated classroom practices, but the problem remained: LACK OF TIME! There simply wasn't enough time to do the pleasurable, mind-stretching, analytical, and creative activities that I saw as so desirable (and my students did, too). Not only that: it seemed, as the years went by, that students' grammatical preparation in high school was less and less adequate, with the result that I needed more time to explain grammar, first the English version and then the German variation. And that is when I discovered the flipped classroom. Shifting all those grammar explanations out of my group learning space gave me the breathing room I needed to start transforming my classroom into a dynamic group learning community in which amazingly smart insights occur by enthusiastic students. 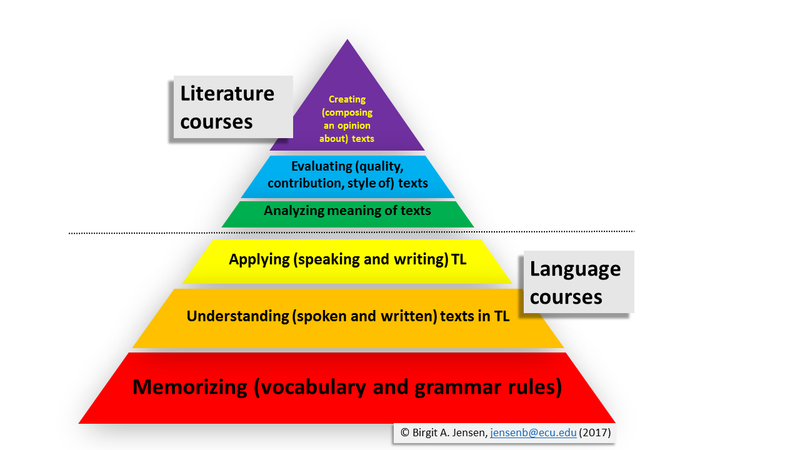 Incorporating flipped learning into my German college classrooms supports my students' needs and my own desires as a professional educator. I hope you, too, will discover the same joy of reconnecting your discipline, your students, and yourself in this innovative and gratifying manner. I have taught German as a Foreign Language since 1987, when I served as a group tutor in the Intensive German courses at the University of Florida. After that, I taught as a graduate student at the Ohio State University. After stints at AIMS (American Institute of Musical Studies, in Graz, Austria), Oberlin College, Middlebury College, and John Carroll University, I landed at East Carolina University in Greenville, NC, where I have worked since 2000. I began flipping my courses in 2014 because I realized that technology and the needs of my students were changing. Haven't looked back since then! I hope to share what I have learned so that other instructors may benefit from my errors and successes.